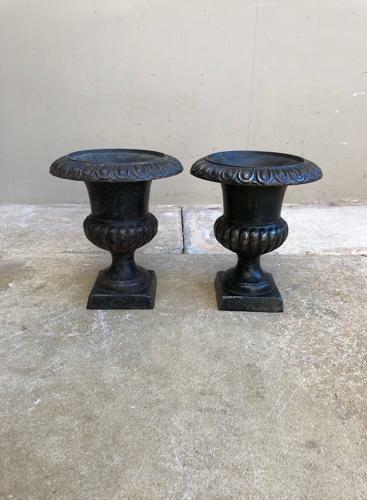 Small Pair of Victorian Cast Iron Urns. Genuine early ones....(there are many reproduction urns around). One has had a small piece of the top repaired shown on the photographs not very noticeable & turned to the back you dont see at all. Very heavy for their size.